Funeral services will be conducted Saturday morning, November 25, 2017 at 11:30 a.m. from the chapel of the Taylor Funeral Home. The Rev. Melisa Derseweh will officiate. Place of rest will be in the Tomlinson Family Cemetery. Her family will receive friends on Saturday, November 25th beginning at 9:00 a.m. until time of service. Mrs. Tomlinson, age 83, of Nashville,TN died peacefully at The Meadows in Nashville, TN Wednesday morning, November 22, 2017 due to complications with Alzheimer's disease. In lieu of flowers the family invites those so inclined to donate in her name to the Alzheimer's Association of America at 1-800-272-3900. Aline was born in Dickson, Tennessee, in 1934 to parents Martha (Luther) Bowman and Grady L. Bowman. She lived most of her life in Nashville, with a short but memorable year spent near Zurich during her husband's post-doc fellowship. She met Gus on a school bus in Dickson when he pulled her red pigtails. They eloped in 1952 and graduated from Dickson High School the following year, embarking on a marriage that would last over 65 years and see the birth of three children and four grandchildren. A devoted wife and mother, Aline worked at National Life Insurance to put her husband through university and graduate school. She twice enrolled at Peabody College but withdrew both times to enlarge her family. 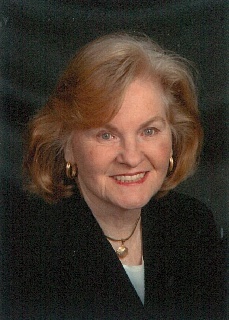 She was a faithful member of the Harpeth Hills and later Hillsboro Church of Christ congregations. Aline participated in the Peabody Women's Club in the 1960's and later valued her time in Wildwood tennis groups and the Purple Thumb Garden Club. She was also an avid seamstress and home decorator. After the sudden death of her daughter Jenifer in 1983, Aline joined the Compassionate Friends Mothers Support Group to help support others suffering through the loss of children. Never one to seek the spotlight, Aline lifted up all who knew her with her quiet good humor, loyal and loving nature, and willingness to see the best in other people. Her hands were rarely still. Her family, friends and neighbors will remember her many acts of service and kindness, as well as her flashes of wit and joy in life and work. She was preceded in death by her daughter Jenifer Lynne Tomlinson. Survivors include her husband Gus Tomlinson, children, Jeffrey Lynn Tomlinson and Tracey Eileen Miller-Tomlinson and their spouses Amy Tomlinson and Wendi Miller-Tomlinson, and grandchildren Olivia, Ashlee, Miranda, and William, her sisters, Irene Brantly and Doye Tomlinson.